Memorial services for Marilyn DuBois of Starbuck, MN will be held Sunday, February 10, 2019 at 2:00 p.m. at Indherred Lutheran Church in Starbuck, MN with Reverend Paul Johnson officiating. Visitation will be one hour prior to services at the church on Sunday. Burial will be held at a later date. Marilyn was born to Arnold and Jennie Sylvester on March 30, 1934. She was born Verna Ruth Marilyn; however, her ten year old sister, Eleanore insisted that she be called Marilyn...and that’s the name that stuck! Marilyn was a life long resident of Starbuck. In early 1952 she met Bob (Robert) DuBois and when she asked permission to go out with him her dad said, “what kind of name is DuBois, he’s certainly not Scandinavian”!! To this she replied, “dad, I’m just going out on a date...I’m not going to marry him”!! For most of their married life Marilyn was a homemaker; however, she was also a gifted soloist and was asked to sing at many weddings and funerals in the community. 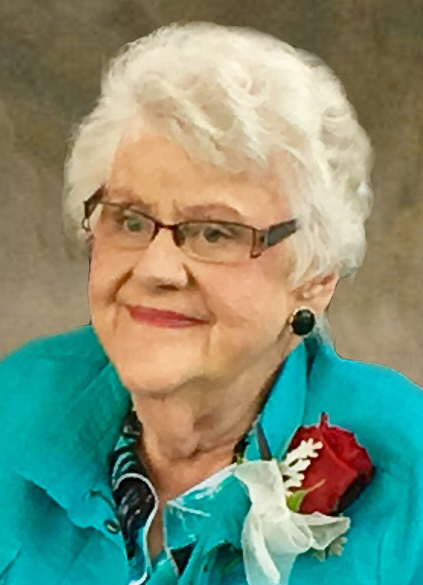 Marilyn died on Friday, February 1, 2019 at the Glacial Ridge Hospital in Glenwood, MN. She was 84 years old. Surviving Marilyn are her 5 children, 9 grandchildren and 21 great grandchildren. They are: Jane (DuBois) Pederson her husband Barry, of Willmar, and their three daughters, Shea Pederson, her two daughters, Brooklyn and Peyton, Megan (Pederson) Stewart, her husband, Jon and their three children, Avrey, Audrey and Azariah, and McKenzie (Pederson) Barney, and her two children, Taydem and Kellan. Also, Joy (DuBois) Erdman, her husband, Wendell of Starbuck and Joy’s children, Jennie (Lundebrek) Thorfinnson, her husband Brett and their four children, Emma, Maddie, Megan and Cavin, Michael Lundebrek, his wife, Eleigh and their three children, Jacob, Mileigh and Matthew, Rachel Lundebrek and her two children, Isaiah and Brooklyn. Also, Jody (DuBois) Tishmack, her husband, Pat of Layfayette, Ind. and their three children, Michael Solem, his daughter Evie, David Tishmack and Brian Tishmack. Also, Chad DuBois of Livingston, Montana, and Carrie (DuBois) Janu, her husband, Tony of Glenwood and their two daughters, Brianna (Janu) Blevins, her husband Cody, and Tony and Carrie’s second daughter, Jenna Janu.